One of the charms of Alaska is its unpredictable weather, and Fairbanks is no exception. With a little planning, you can enjoy even this part of our northernmost state. Summers in Fairbanks are similar to spring in the lower 48, with temperature highs between 60˚ and 80˚F, and nighttime lows in the 40˚s to 50˚s. In September, temperatures begin to drop, with cooler winter temperatures and snow beginning in October. During wintertime, the temperature is almost always below 0˚ at night and usually stays that way during the day. Though some days get above zero Fahrenheit, they rarely get above freezing – after all, this is the coldest city in the US! Snow seems to taper off in March with April and May being the driest months of the year. Even on the dry days, though, you can expect some cloud cover, which helps to keep those daytime temperatures cooler. Another of Alaska’s charms is its fluctuation in daytime hours, varying greatly from summer to winter. From mid-May to near the end of July, Fairbanks has 24-hour twilight. During this time, though the sun has set, it is still easily light enough outside for outdoor activities. Summer Solstice is the longest day of the year, falling on June 21, with the sun setting for a total of only two hours! Fairbanks never has 24-hour darkness, but on Winter Solstice, December 21, the sun is in the sky for just under four hours. So what’s the best time to visit Fairbanks, Alaska? While peak visiting season falls from mid-May to mid-September, there are reasons to visit Fairbanks in any season. Most tours are in full swing during peak season, but you may find discounts on both attractions and accommodations during the off-season. Just before or after peak season can be the best time to score discounted prices while still catching most, if not all, of the local attractions. Summer is the most popular time to visit for a number of reasons, such as the longer daytime hours, the lush and blooming plant life, and the warmer temperatures. 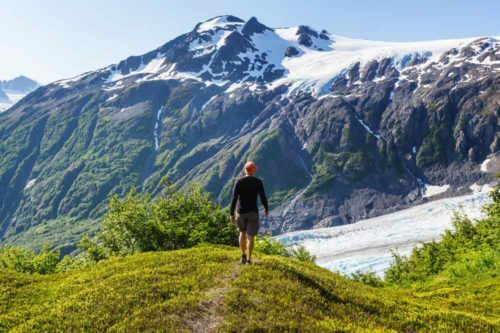 This is especially important since most tourists choose Alaska for its natural appeal and spend the majority of their time in outdoor activities. However, there is no shortage of cold weather activities in the area, for those seeking Fairbanks’ winter beauty. Or so they tell me. I am not at all sure I am brave enough to try that myself! Regardless of the season you are visiting in, the key to Alaskan clothing is smart layering. In peak season, the temperatures are warmer, though rainy, so you will need to plan to adjust your layers as needed. From spring to early fall, expect rain and wind, so bring a backpack to tuck your outer layers in when not needed. Your inner layer should be long underwear or active wear that will wick the sweat and moisture from your skin while still keeping you warm. Beware of cotton, as it is absorbent and can pull the heat from your body. Your middle layer is the insulating one, and can be a fleece jacket or sweater during cooler temperatures. Lightweight synthetic and down jackets with a water repellant outer shell are gaining in popularity for their warmth and breathability. The only downside to those is the nice price tag that comes along with them. A lightweight middle layer can also help when adjusting for warmer temperatures, as they pack up smaller and fit nicely in your backpack. During drier times, you can also wear them as outer layers. The outer layer is the most important, as it is your first protection against the elements. You want something waterproof (not water-resistant) and breathable, so you can stay warm and dry in all types of Alaskan summer weather. This outer layer is most often a thin, outer jacket, such as Gore Tex. If you are planning outdoor activities, you may also want to invest in nylon pants to keep your legs dry. Do not cut corners here, as the less expensive “waterproof” items are treated with a coating that does not breath, trapping your heat inside and creating condensation. The end result is that you wind up wet anyways. Go with quality items that will last longer and offer you a more pleasant Alaskan experience! A thin pair of gloves and a thin beanie are worth bringing, as well, since they are lightweight and easy to pack. Because the weather can be so unpredictable, summer visitors should also bring shorts and short-sleeved shirts, just in case. This is especially true for those who enjoy outdoor activities. On a personal note, during out four days in Fairbanks we enjoyed fair August weather. It was never too hot and it rained occasionally but overall there was no problem with walking around in shorts and tee-shirts. So definitely bring those as well, so you’re not stuck with garments that make you feel too hot. If you plan to visit during the winter months, your layers will look slightly different from their summer counterparts. Your inner layer should be a mid- or heavyweight wool or synthetic item that fits snugly to your body. Again, NO COTTON! You will needs tops and bottoms for your inner layer. Your middle layer will be a looser-fitting, mid-weight jacket. Finishing your outer layer should be a down or synthetic parka or heavier jacket. If you are actively moving around, you may not need this outer layer all the time, but you will appreciate having this with you. If you are planning to be out in the deeper snow, you will also want snow pants. Mittens are preferred over gloves, as they keep your fingers together and trap heat better. You can also invest in hand warmers, which you can tuck into the mittens. If you plan to take many photos, you can wear a thin pair of gloves inside the mittens. This allows you to enjoy your photography adventure without exposing your fingers to the elements. A hat and balaclava combination is also a wise choice. This protects more of your face and head from windburn and/or frostbite. If you are planning to be active, you can substitute the hat for a headband, which will still keep your ears warm and happy. Gaiters are another winter necessity if you are planning to be out in the snow. These will keep the snow out of your boots and are relatively inexpensive. Don’t forget you’ll be walking a lot! As mentioned before, visiting Alaska typically means lots of walking, so you want to make sure you are bringing well loved, broken in shoes. Hiking boots straight from the box will leave you blistered and hurting before long, and will ruin your trip. If you do not have anything at home already, you can purchase some lightweight hikers that have good traction. Bringing two pairs is wise in case one gets wet. If you are concerned about keeping your feet dry, invest in some Gore Tex socks, which you can wear over your regular, non-cotton socks. The key thing is to make sure you break in any brand new shoes before your trip – your feet will thank you. In the winter months, invest in some warm boots or stock up on toe warmers. It is very important that winter boots are rated for between -20˚ and -40˚. If you already have a pair, but are concerned about how warm they will be, use toe warmers. You will want warmers that are rated for very cold temperatures and some even have a sticky side that adheres to your socks and helps them stay in place. Make sure that they have a long life, since you will not want to stop and replace them every 20 minutes. One of the most exciting things about our trip to Alaska last summer was simply the fact that we were heading north. Way out north. We were going to get as far up north in Alaska as we could with a rental car. Which basically meant Fairbanks. You see, while Alaska is one of the largest US states, it doesn’t really have a lot of paved roads. 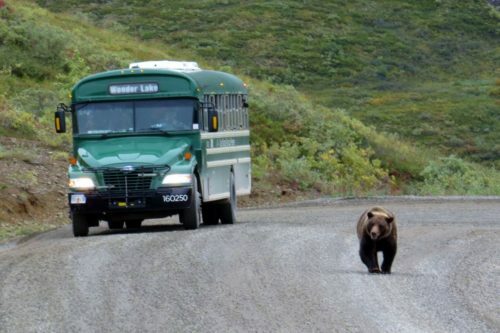 Let’s say you’re driving to Alaska. Once you’ve reached the state, you’ll find out that the number of inland roads is fairly limited. The George Parks Highway (Highway 2). And both of them end in Fairbanks. So, basically, when trying to head as far up north in Alaska as you can, you’ll be reaching Fairbanks. And if you’re driving a rented vehicle, like we were, that’s almost as far up north as you can get. 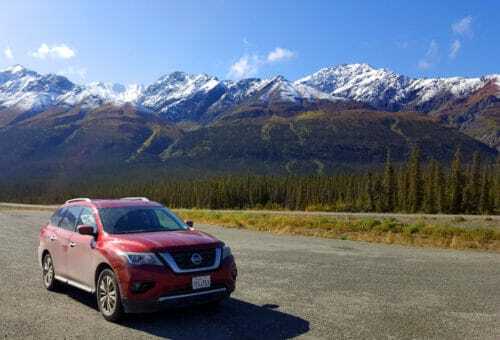 If you keep heading north, you have another couple of hours of driving you can put in and then you’ll get to the Dalton Highway (where your rental insurance coverage stops because of road conditions). Fortunately, there are plenty of things to do in Fairbanks! Our own Alaska road trip included a long drive from Los Angeles to Alaska and back. We basically pushed forward for almost three weeks, with Fairbanks being our first “longish” stop in Alaska. Staying in Fairbanks for four nights gave us a total of three full days to explore the city. I can’t say that we got to see everything that I had on my list but we did see and do quite a bit. 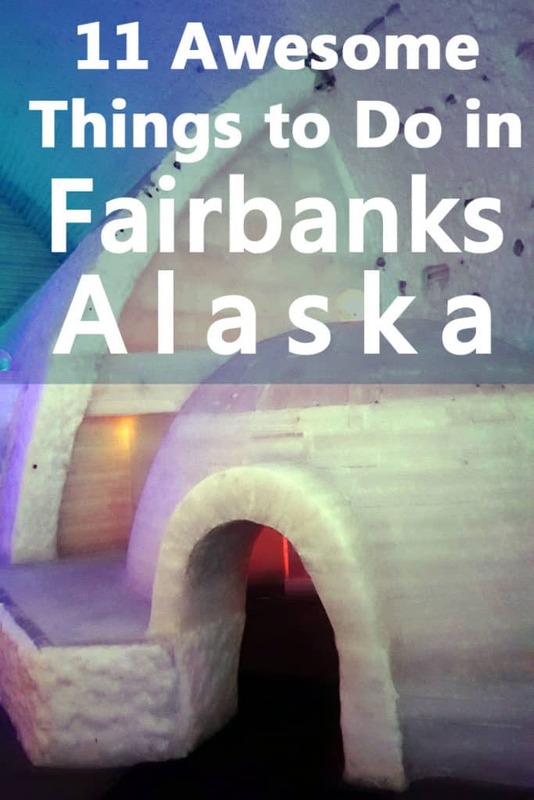 I’m sharing a mixed list here – both things we did and didn’t do – in the hope that it will help you create the best Fairbanks itinerary for your trip. Is this the full list of things to do in Fairbanks? No, it is not. If you’re going to Fairbanks and have more time to spend, there’s plenty more to do! Just make sure you stop in the Morris Thompson Visitors Center (the first item on this list!) and dig in for more ideas! Visiting for a few days? Make the Morris Thompson Cultural & Visitors Center your first stop. This large Visitors Center provides you with a great introduction to Alaska. You can learn a lot from the exhibitions and get essential visitor information relating to the state. This is not your conventional visitor center but more like a small museum. 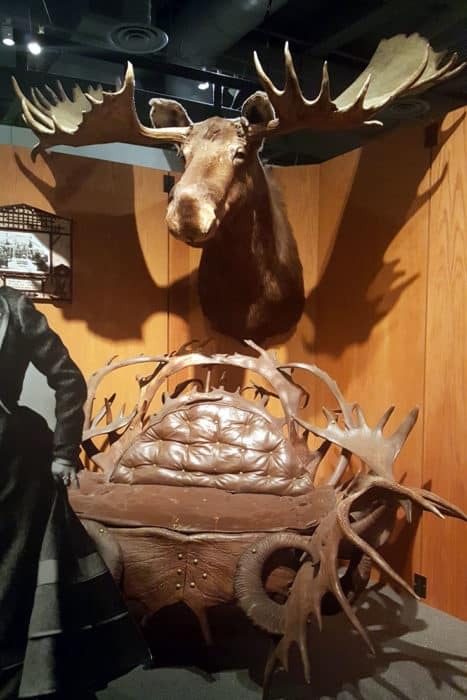 The Morris Thompson Cultural & Visitors Center educates visitors and residents alike about the history of Interior Alaska through realistic exhibits and displays. Plenty to take in, as you walk through a series of detailed scenes that show and discuss the area’s flora and fauna and also its human history. 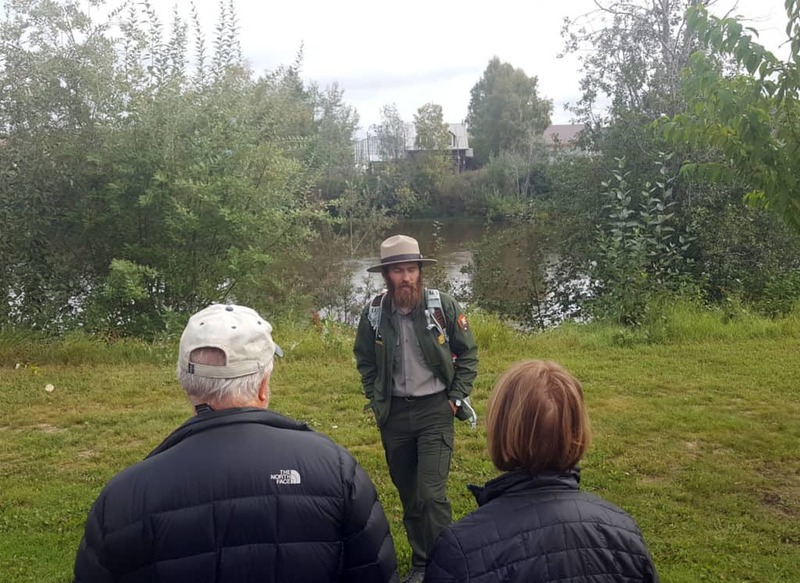 National Parks rangers offer free guided tours just outside the center where they tell you a little bit about the history of Alaska and Fairbanks. We took the tour and learned quite a lot about the tension between Alaska and the federal government through the eyes of a ranger. That tour alone is worth adding to your list of things to do in Fairbanks – both educational and entertaining! We really liked this cool gate they have outside, made out of moose antlers. Last but not least, since this is also a visitors center, you also have the usual array hiking maps, bus schedules, and tour brochures alongside advice from the people who run the visitors center. If you have more time, use this initial visit to fine-tune your own list of things to do in Fairbanks, Alaska. Opening Hours: Monday to Sunday – Winter – 8:00 A.M. to 5:00 P.M. – Summer – 8:00 A.M. to 9:00 P.M. This park was established to commemorate the centennial of the Alaska Purchase. 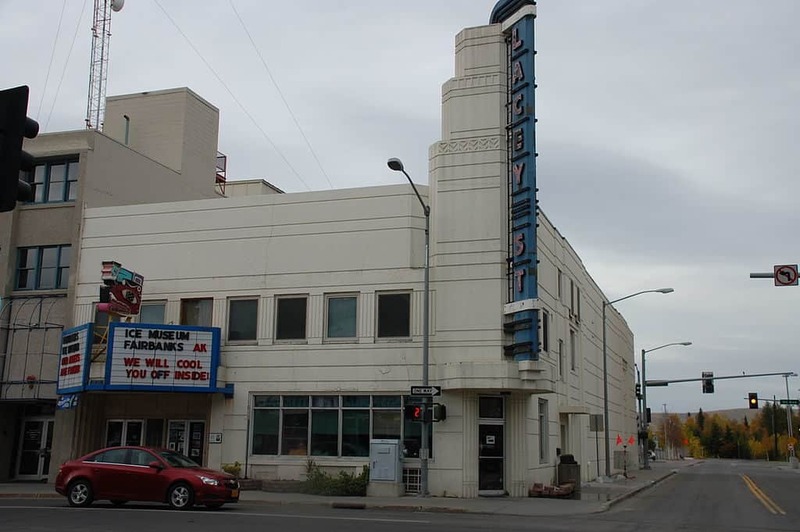 Lots to see and do here, or you can just stroll around to soak up the atmosphere. 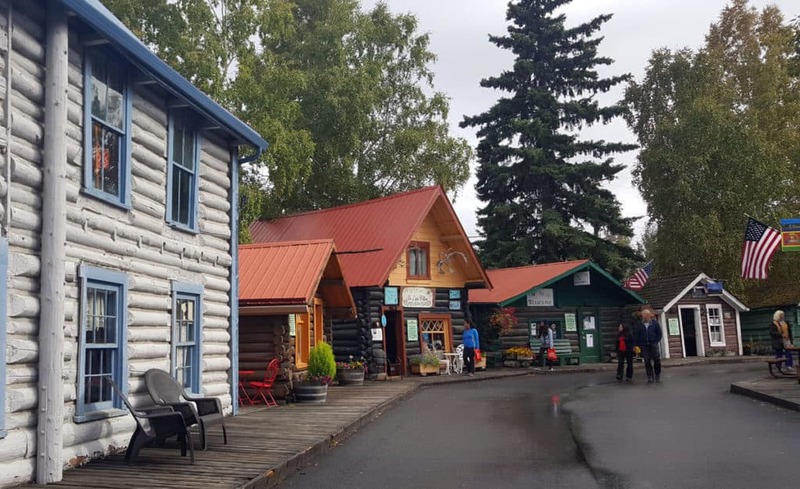 If you want to get a taste of the history of the city, prioritize Pioneer Historic Park in your list of things to do in Fairbanks. What we liked the best was the gold-rush area with genuine pioneer log cabins! As Fairbanks kept growing, local history fans moved the old cabins from across the city to be preserved in Pioneer Park. There’s not a whole lot to do within them but they make for a nice visual reminder of life in the old times. One of the best attractions is the giant sternwheeler ship right inside the theme park: Riverboat Nenana. It is docked in dry soil and open for tours – makes you wonder how the people actually transported this large vessel right in the middle of the city! The park has a playground at the center for kids to absorb the Alaskan vibe. If you don’t feel like walking, you can ride the Tanana Valley Railroad Museum. It’s an on-site interpretive train ride that will take you back to the era of the gold rush. Don’t expect too much of the museums though. We tried two of them: The Pioneer Museum and the Pioneer Air Museum. Both were very old-fashioned with huge collections of strange artifacts displayed in ways that don’t really make sense and without too many explanations. They were kinda interesting but just not what you expect from a “museum” in the 21st century. On the plus side, they were very affordable, costing only a couple of bucks to see. 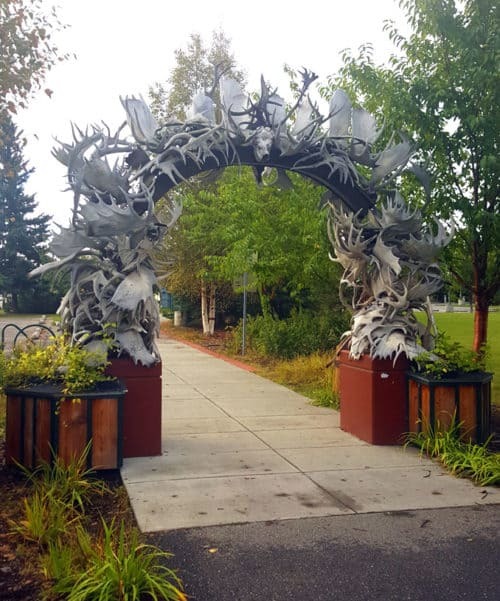 So overall, add this park to your list of things to do in Fairbanks but be flexible with the time you allocate for it in your itinerary. For a more in-depth and modern look on Fairbanks, try the Museum of the North. This museum has enough artifacts and attraction to keep you busy for at least a couple of hours and possibly – if you really like to dig in and read – for longer. You’ll see art and treasures inside as old as 2000 years! The place also holds life-size replicas of Alaskan wildlife past and present (like the giant extinct steppe bison). They also have the state’s largest collection of gold. For an additional fee, you can watch science movies in the auditorium. While they’re interesting, when we were there the movies were pretty general and didn’t deal specifically with Alaska. Opening Hours: Monday to Saturday – 9:00 A.M. to 5:00 P.M. 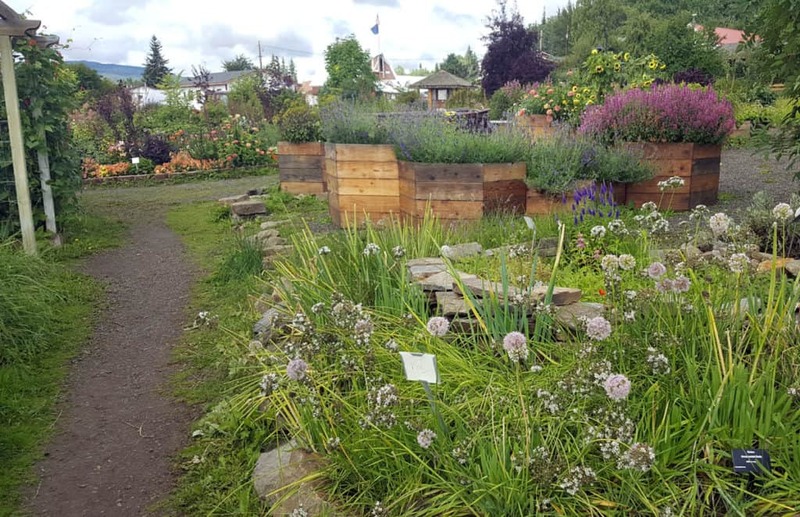 The Georgeson Botanical Garden is actually a research facility within the University of Alaska. It’s also home to a diverse native and introduced plants blooming in summer under the Midnight sun. The garden is filled with beautiful flowers and an array of garden beds – truly a feast for the eyes! Also, if you haven’t seen gigantic cabbages in your life, now is your chance! We spent a nice couple of hours there and that did not include a picnic – just strolling around, admiring the plants. In fact, we enjoyed it so much and I took so many photos that I’m going to add a blog post just about our visit there. For now, just wanted to mention it here for your own list of things to do in Fairbanks. If you’re traveling with kids, they can have fun at their own children’s garden with a playhouse on it and a small outdoor labyrinth. Opening Hours: Every day – 9:00 A.M. to 8:00 P.M. Locally known simply as LARS, the Large Animal Research Station is a hidden jewel in Fairbanks. 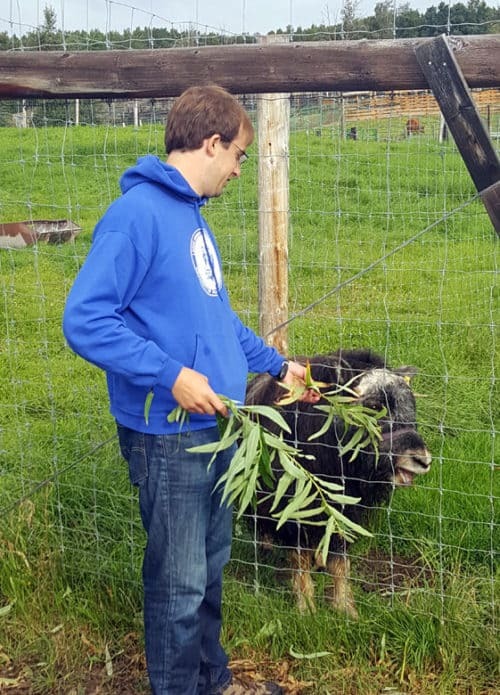 Both locals and tourist visit LARS for viewing the muskoxen and reindeer. If you love science and animals, make LARS one of the top items on your things to do in Fairbanks list. We loved LARS and learned so much during our visit there that I dedicated an entire post just to share our impressions. Check out my post about our visit to LARS in Fairbanks, Alaska. Summer Schedule: Wednesday: 9:30 A.M. to 7:00 P.M. – Thursday to Sunday: 9:30 A.M. to 4:30 P.M.
Winter Schedule: Pre-arranged tours for groups or classes. 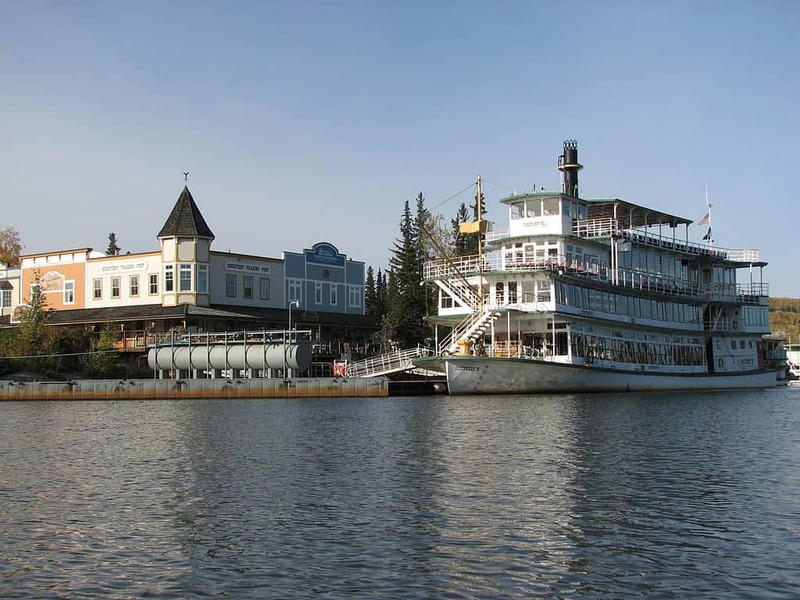 Taking the Sternwheeler Riverboat Discovery tour is a very exceptional Alaskan experience: A three-hour cruise along the Chena River and into the heart of Alaska. While it all sounds great, the trip is fairly expensive. 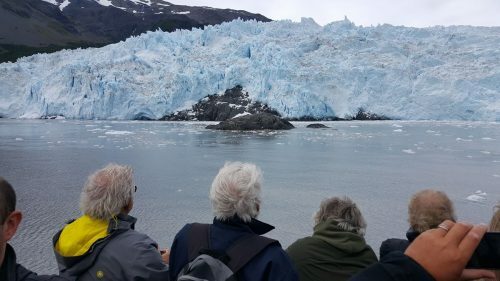 We could only budget one cruise on our Alaska trip and chose to take the more expensive – but longer and very different – Kenai Fjords cruise. 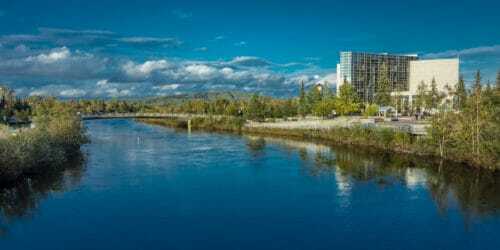 However, I had to include the Riverboat Discovery cruise in this list of things to do in Fairbanks because it does sound pretty awesome and do they have fantastic reviews. Opening Hours: Every day: Boat leaves at 9:00 A.M. and 2:00 P.M. The Running Reindeer Ranch is another unique item on the list of things to do in Fairbanks. Visit them and you’ll get an opportunity to actually walk with the reindeer and come close to them. You can take lots of pictures, and appreciate them doing “reindeery” things in their natural habitat. It’s not cheap and you have to schedule in advance but if you’re looking for unique close encounters with animals you may want to give it a try yourself. Opening Hours: Strictly no drop-ins; book first. 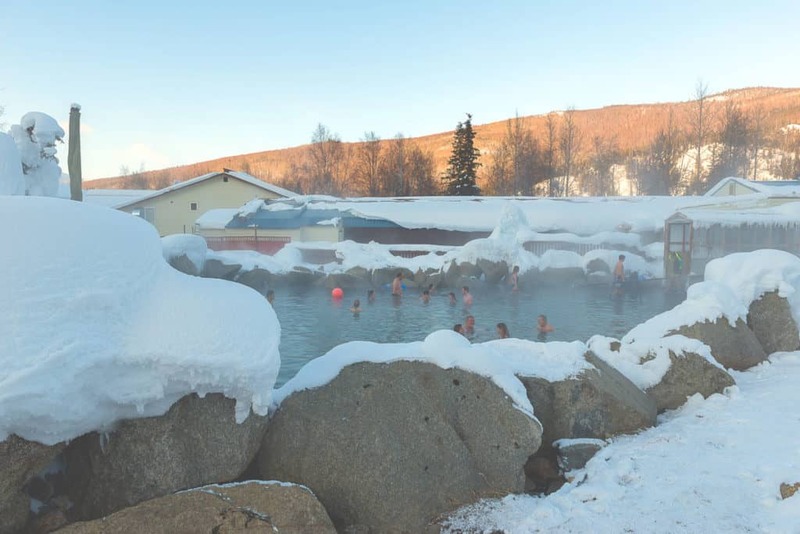 The Chena Hot Springs is a great addition to your bucket list of things to do in Fairbanks! As you can see in the map below, that little pin away from the rest of the pins is the Chena Hot Springs resort. In other words, this property is 60 miles away from Fairbanks International Airport. Since there’s no town there, just a resort, Chena certainly deserves a spot on the things to do in Fairbanks list. Special shower footwear. The hot springs pools have a “no shoe” rule so you can either walk the locker room barefoot or you can wear a pair of clean shower jelly shower shoes. Quarters for the lockers. If you don’t bring them with you, you’ll have to spend precious minutes waiting in line at the reception to get coins. Your own towel. So you won’t have to rent one at an additional fee. Bottled water to stay hydrated. They have a nice little coffee and snacks stand but it’s in the main building so you may want to have your own bottle in your pool bag. 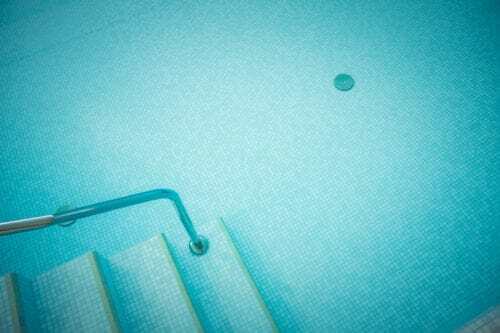 A waterproof phone cover. So you can snap great pictures while in the springs. They do have several other attractions available, including said ice museum, dog sledding demonstrations and hiking trails around the resort. This is also a popular place for Northern Lights watching. Away from the city and up in the north, you can see the majestic Aurora Borealis from Chena Hot Springs between November and March. They even have a special outdoors structure with huge glass windows and comfortable chairs just for that. Opening Hours: Check in: 4:00 P.M. – Check Out: 11:00 A.M. If you’re visiting Chena Hot Springs, you might want to stop at the Aurora Ice Museum there. For us, this was actually why we visited Chena. The Aurora Ice Museum is the world’s largest year-round ice environment. That said, it’s not that huge. They do have enough on display to keep you going for half an hour or so. 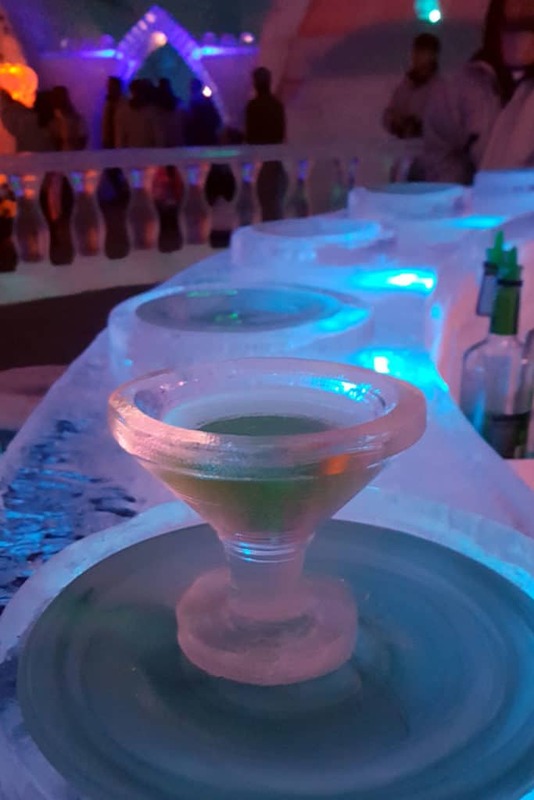 They also have a bar and you can buy an Appletini for fifteen bucks – a beverage served in a glass made of ice! 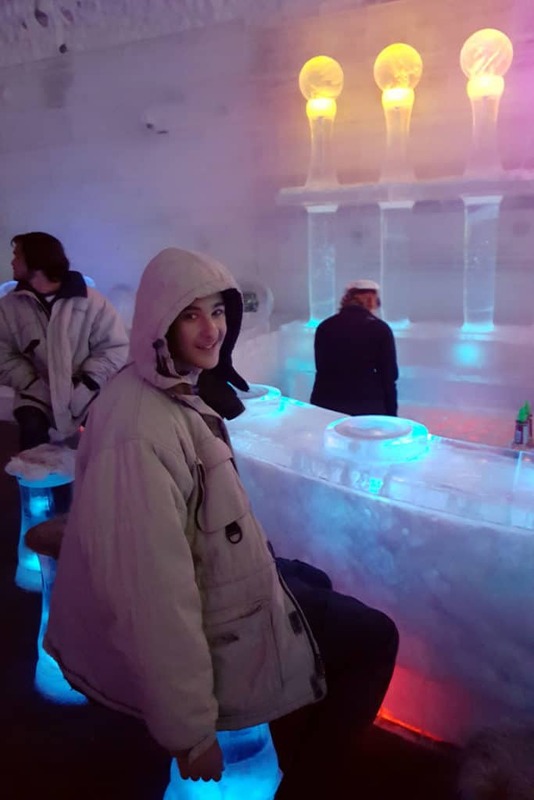 Everything is made of ice, even the seats and the bar itself. Don’t worry about it being cold. First, it’s only -7 Celsius (or -20 Fahrenheit). That’s cold but not that bad by Alaskan standards. More importantly, they lend you warm winter parkas as you enter, so you’re protected. You can only enter as part of a group. No need to book ahead of time, just get to Chena Hot Springs and get your timed ticket at the office. This is what our group looked like just before entering. 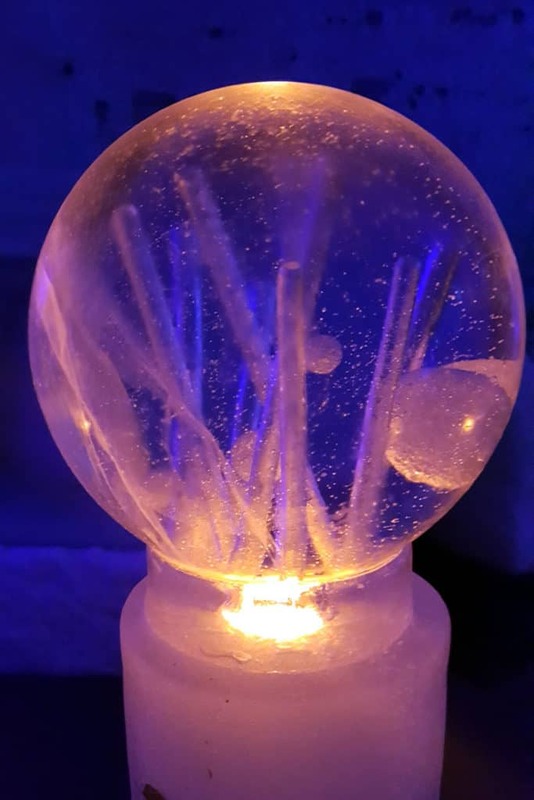 Opening hours: Monday to Sunday – 11:00 A.M., 1:00 A.M., 3:00 P.M., 5:00 P.M., 7:00 P.M.
IMO, if you’re that up north, it’s good to add an ice museum to your list of things to do in Fairbanks. We chose to go to Chena Hot Springs but if you wish to avoid the drive, there’s The Fairbanks Ice Museum. 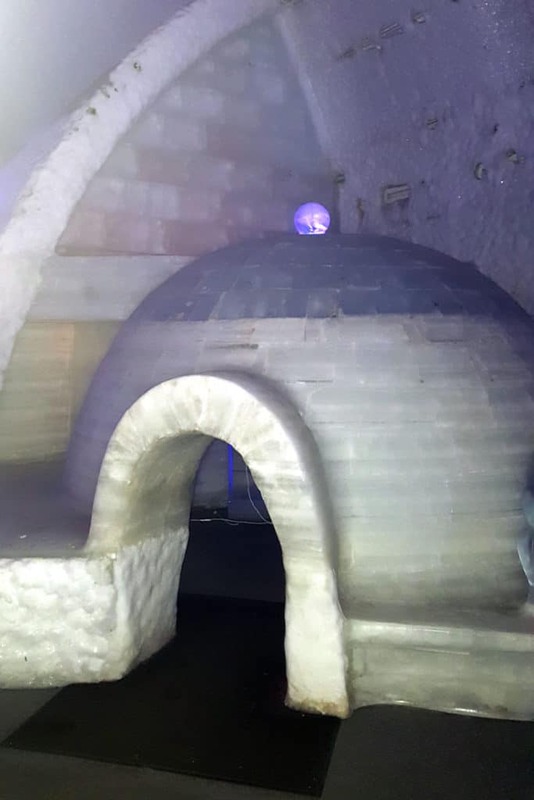 The place is a former theater transformed into an ice museum. 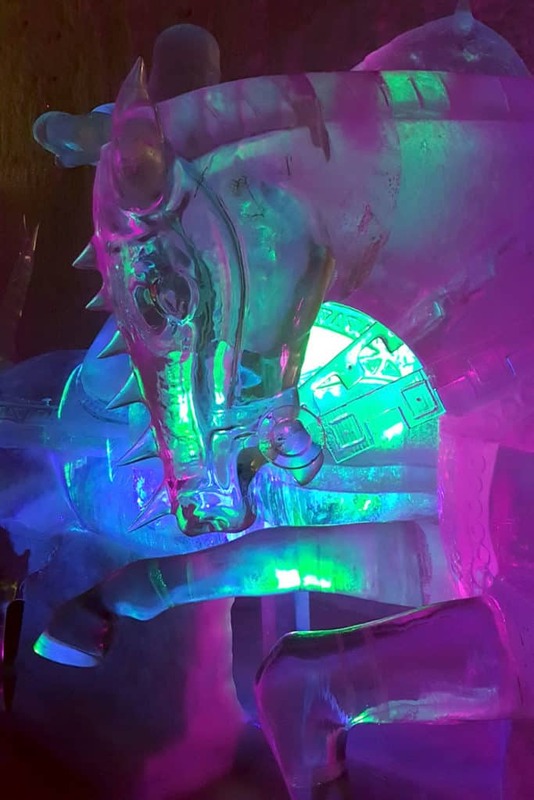 Your visit includes a movie about the process of ice sculpting from start to finish. 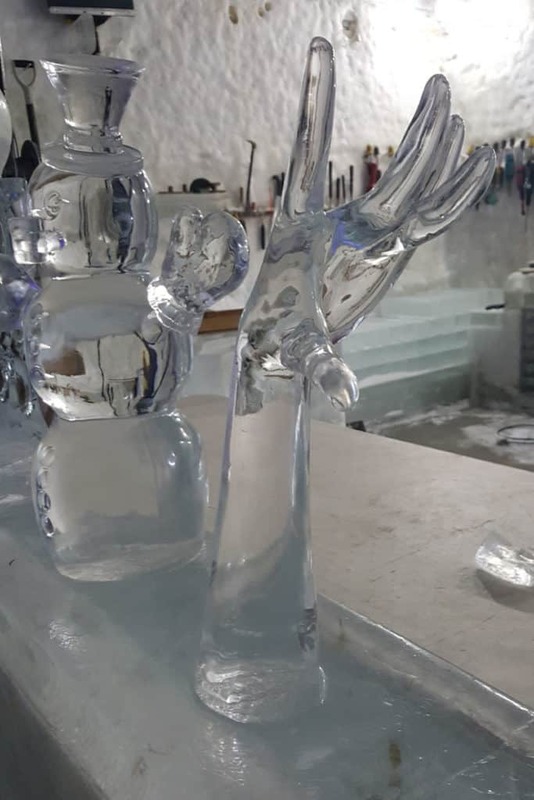 You will also witness ice sculpting demo and see up close how a simple ice is transformed into a form of art. 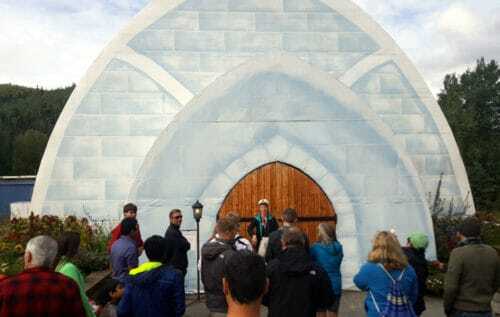 Additional tour attractions include an ice slide path where you can ride a sled (sounds like fun for kids). 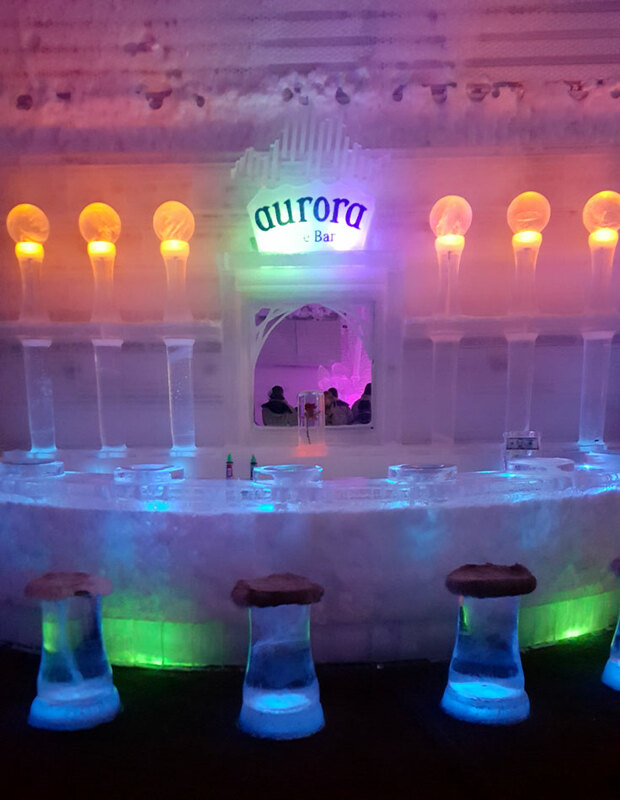 Like in the Aurora Ice Museum, you’ll have a chance to enjoy a drink from an ice glass as well. Opening Hours: Every day: 10:00 A.M. to 9:00 P.M. 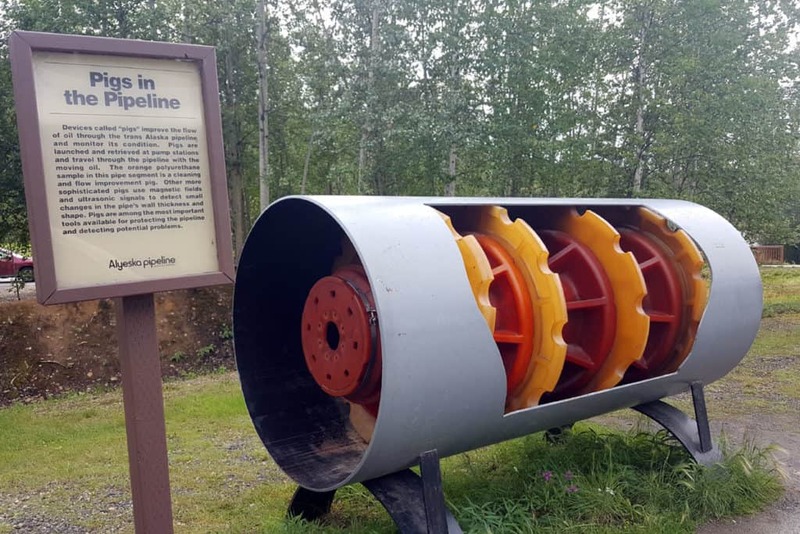 The Alyeska Pipeline Visitor Center is an outdoors exhibit next to the pipeline itself. Located along the Steese Highway, just north of downtown Fairbanks, this can be a nice little stop if you’re driving this scenic route. 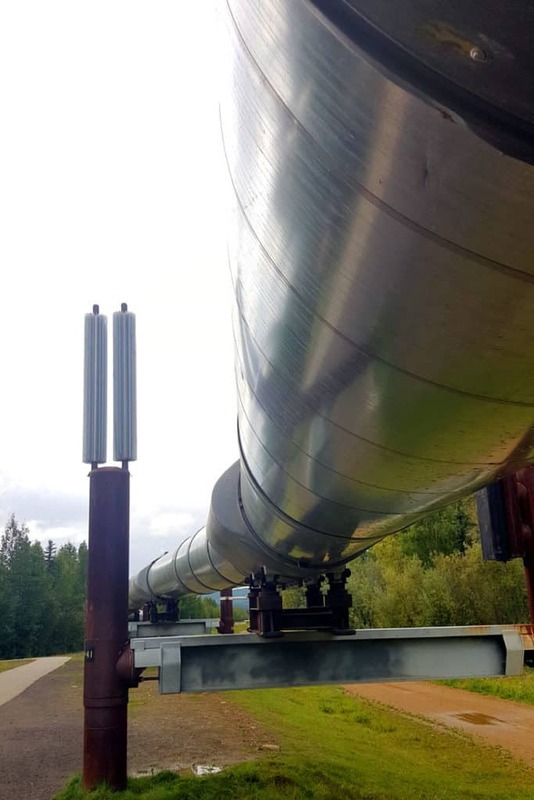 It’s not far from the town itself, so if you’re interested in seeing the big pipes, it’s worth adding to your list of things to do in Fairbanks. The Trans Alaska Pipeline System is a staggering 800-mile long pipeline system – the largest in the world. Oil travels along the pipe from Alaska’s North Slope to the northernmost ice-free port in North America in the town of Valdez. The Fountainhead Antique Auto Museum will take you back in time to view perfectly-restored early 20th-century luxury cars. The automobile collection includes 85 American vehicles from early race cars to the most elegant classics. Almost all these rolling antiques are driven during summer, to ensure they are still operable. If you’re a car aficionado, definitely add this museum to your list of things to do in Fairbanks. One thing you should know is they only open on Wednesdays and Sundays. There’s also no place to eat inside and the place is kinda far from the nearest food establishment, so catch a bite to eat before you head for this museum. Opening Hours: Wednesday and Sunday – 12:00 P.M. (NOON) to 6:00 P.M. Check out my separate post on how to find cheap(ish) hotels in Fairbanks. I know this can be challenging, so that’s why I dedicated a separate guide to the question, along with recommendations. Whew! That was a long list of things to do in Fairbanks! This post took a while to research and produce. I really hope you find it helpful! Please leave me a comment to let me know what you think or if you have any questions about visiting Fairbanks! 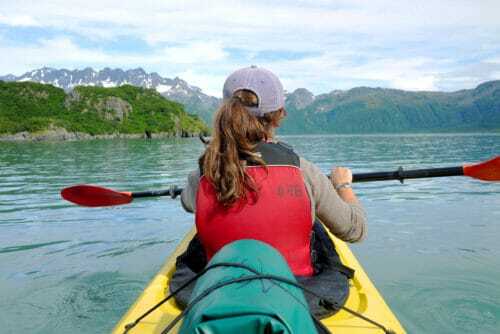 Looking to explore beyond the urban areas in Alaska? Check out my mega post about Alaska’s National Parks! some unique places. I am a photographer, this will be exciting to see what will catch my eye to photograph these interesting places. Alaska is a fantastic destination for photographers! I’m sure you’ll enjoy your trip very much! Hi! 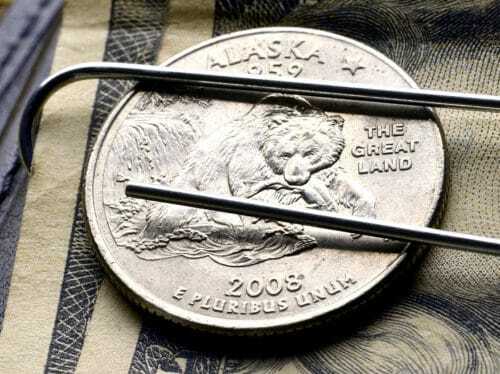 I grew up in Fairbanks and this was a really good article that hit some good points! (I also totally agree with the comment about Creamer’s field!) I just wanted to point out however, that your post says that in the winter it rarely drops below 0 degrees during the day. You might want to consider editing that because it is simply not correct. January and February are some of the coldest months and the temperature during the winter is almost ALWAYS below zero. In the middle of winter is is often -30 to -40 degrees or colder. I just thought since this is meant for people to help make travel plans, that is something they need to know. 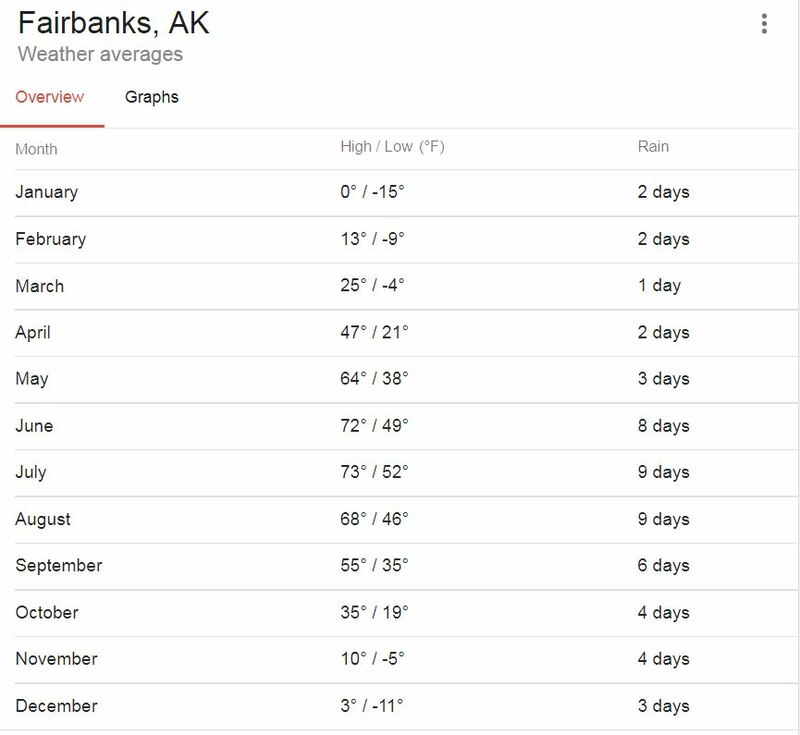 Fairbanks is the coldest city in the United States in the winter, and has one of the largest over all temperature ranges on earth. While I lived there the coldest I experienced was -58 degrees, and the warmest was 90(ish). I hope this helps with your post! And that lots of people find it helpful, because it is a really good article! Denali again. 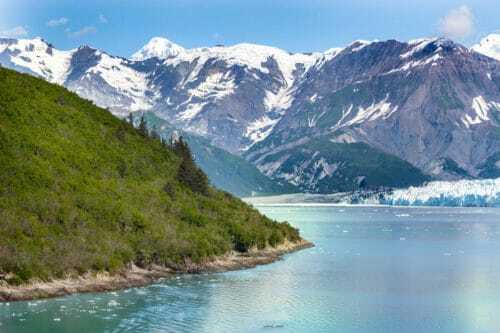 Drive on down to see the Kenai Peninsula, visiting all those smaller towns to see wildlife from Anchorage down to Homer and back up and go to Seward again. We have not been down the Yukon before but we have been to Haines. We have not been down to Homer or any of the towns going to Homer. 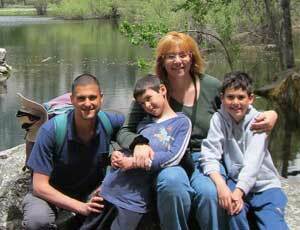 So we are wildlife watching as well as seeing the mountains and the things on the ocean, lakes and rivers. 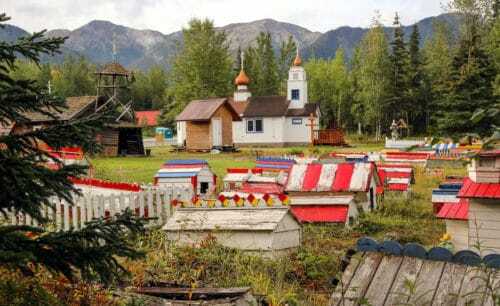 Anything you know about these places that is a must to see down the Yukon and down the Kenai Peninsula. We have been twice in the summer months now and going to see this in the Fall (2018) and probably will go back to the Kenai Peninsula to visit the first of May (2019). We want to see the spring time too. Thanks for any suggestions. Thanks for the tip on Creamer’s Field! We visited Haines in early September and it was fantastic. We got to see a Grizzly fishing for salmon at Chilkoot Lake. At some point, he came so close he was only 5 yards away from us! Was not as scary as it may sound because he was really busy fishing and there were so many people around us we knew he wouldn’t do anything. So, definitely visit Chilkoot Lake – great bear viewing spot! We also got to see the Northern Lights in that area. We stopped overnight at the small town of Beaver Creek in Canada, right past the border. At 11PM my husband noticed this glow in the sky and we went outside, drove for a few minutes to get to a dark spot and had a great light show for 20 minutes! Totally unexpected that time of year but clearly not impossible. I can also recommend Valdez if you can allocate a couple of days. The drive to Valdez is stunning, especially going through Keystone canyon. Once there, go to the hatchery. We’ve never seen so many salmon in one place. And we got to see a sea lion, seals and a bear, all enjoying the bountiful fish.